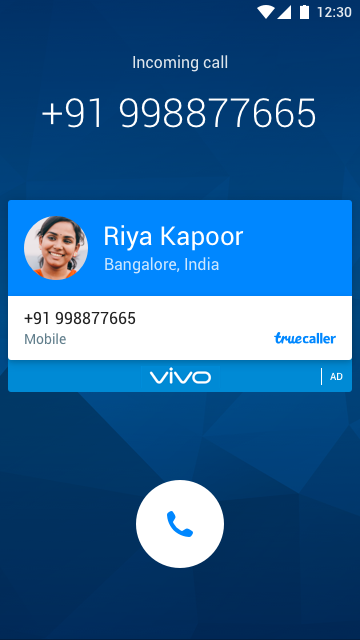 The smartphone company used Truecaller to effectively exhibit the key features of its newly launched Vivo V5s smartphone, achieving massive 130+ Mn Impressions at 0.22% CTR. 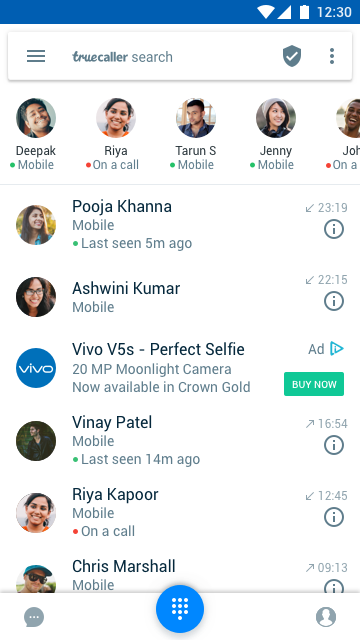 The Campaign was scheduled during the Final Match of Indian Premier League between Mumbai Indians & Rising Pune Supergiant, where Vivo was the title sponsor. Vivo V5s, launched with a 20MP front camera sensor, co-engineered with Sony, takes selfie technology to the next level. The V5s also offers innovative features, including a Moonlight Flash for selfies and video chats to provide a unique and entertaining experience beyond that of everyday mobile devices. 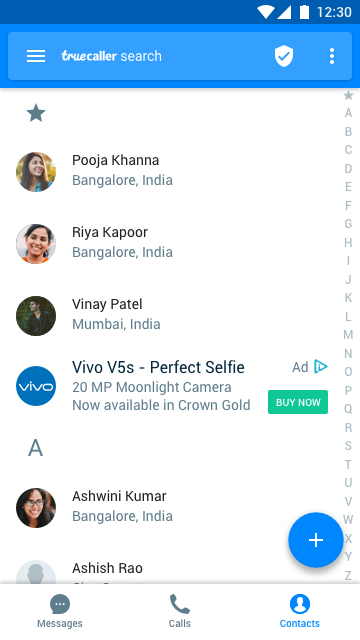 With the launch of its newest flagship smartphone with such exceptional features, Vivo was looking for a way to raise awareness about, and interest in, the new device. The main goal was to increase consumer preference for the V5s ahead of its launch. 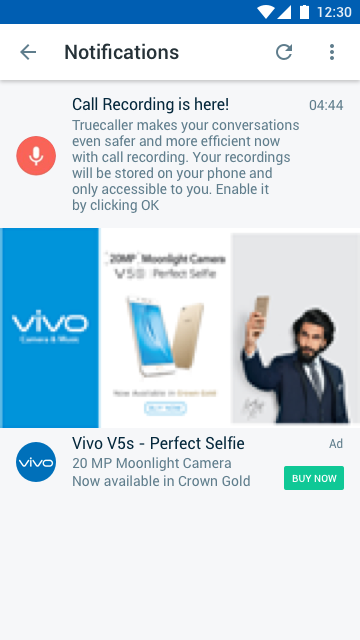 Vivo wanted to convey a great deal of information in an effective and attractive way so that consumers could intuitively understand the features of V5s Smartphone. 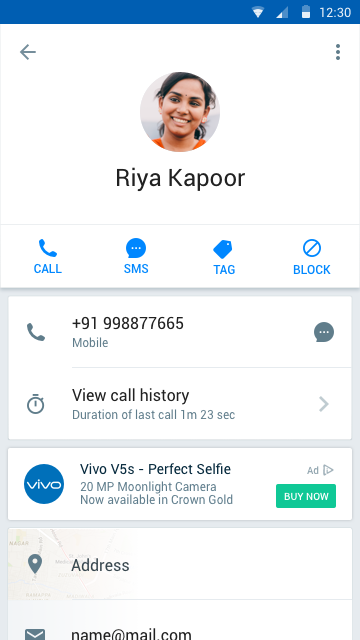 To do that, Vivo along with Watconsult chose Truecaller Roadblock & ran a campaign for 24 hours. This advertising product is best suited for creatively delivering a brand's message & is a sure-way to create massive impact at scale by owning all the inventory on the platform for the entire day. This gives a 100% Share of Voice (SOV) across the app, which has 40 Million Daily Active Users (DAU). 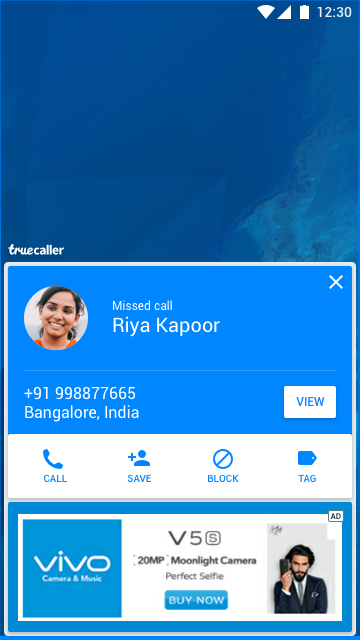 Vivo was the first mobile OEM to run a Complete Truecaller Roadblock. 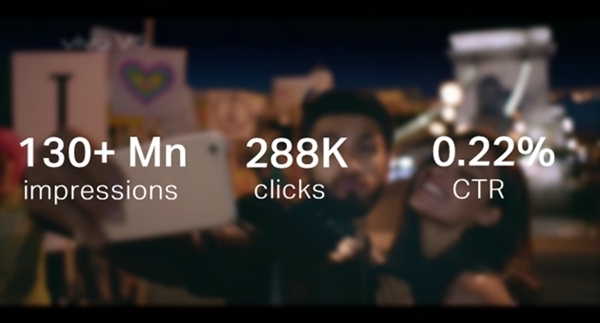 The campaign was held on a Sunday, during the final match of Indian Premier League & it clocked a whooping 130+ Mn Impressions.